It's the ultimate combination of form and function with Rough Country's durable, new Bull Bars. Protect the front end of your truck with our beefy yet stylish Bull Bar kit. 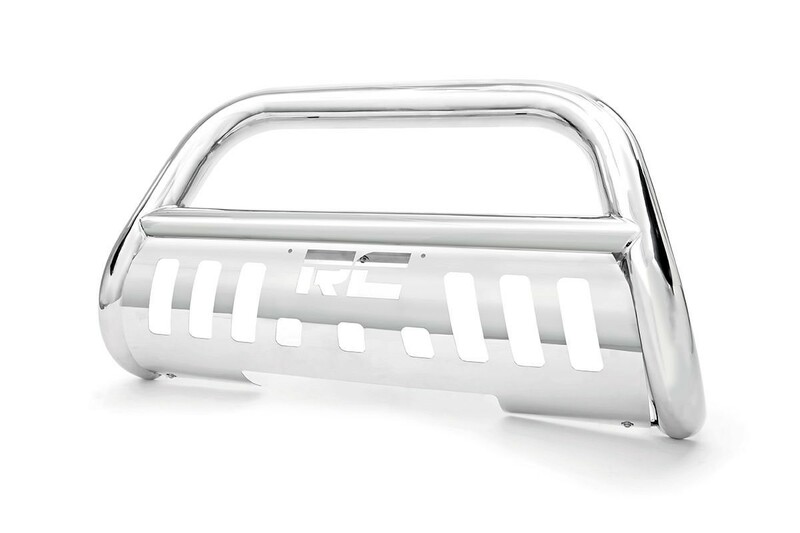 Featuring a 3-inch diameter tube design and corrosion-resistant finish, this Bull Bar package offers superior protection from hazards of the road and trail. Tow hooks must be removed. Cutting of the air dam may be required on 2WD models. May interfere with parking sensors, proximity sensors and external cruise control sensors.